Thanks to new, improving experimental techniques, modern biology is discovering a steadily growing body of new facts and data about the living nature. A good example of this advancement is the decryption of the complete genome of a rapidly increasing number of organisms, including humans. Regardless of these impressive results, however, there are still no satisfying answers to very basic questions of biology, such as „What is life?“ and „Why does matter organize into biological forms that become more complex in the course of evolution?“. 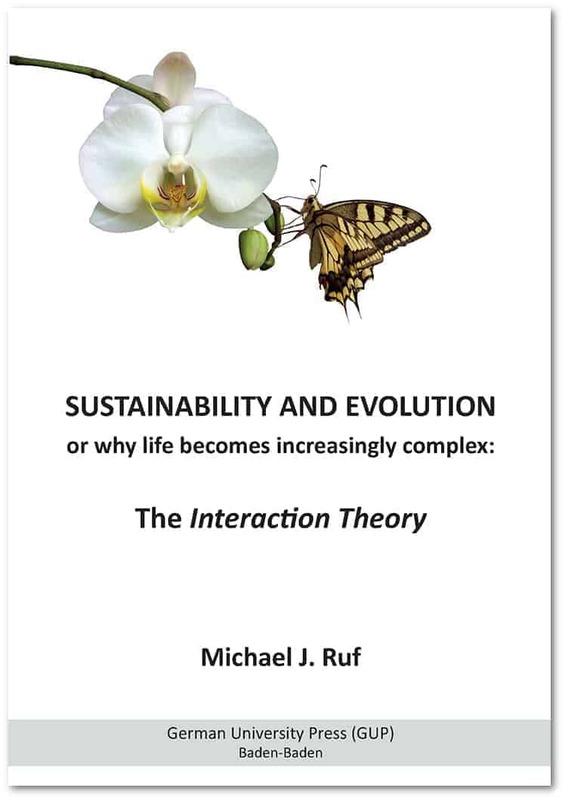 The Interaction Theory by Michael J. Ruf assumes that this unsatisfying situation is not simply the consequence that certain experimental data are still missing. The lack of explanation of what life is actually and why simple molecules evolve into complex organisms rather reflects an existing conceptual problem that can only be solved with a radically new conceptual approach. Interaction Theory is the result of such a radically new approach to life and evolution. In contrast to conventional evolutionary theory, the generation sequences of living forms are considered to be the decisive quality of life. By clarifying how the continuation of these generation sequences can be sustainable over billions of years, new fundamental principles become obvious and the phenomenon of an increasing biological complexity understandable. As a result, a law-like process of biological complexity increase can be derived as immanent part of the evolution of life. This allows Interaction Theory to provide new answers to key questions such as why sexual reproduction, what species are and what life is. The theory is, however, not limited to cells and organisms and their evolution. It addresses the self-organization to higher complexity of all kinds of structures that are subject to an evolution through multiplication processes. This means that Interaction Theory also provides an understanding of why and how molecular networks, social communities and even societies become more complex over time.